Reno Domenico, Chairman of Democrats Abroad Ukrainian office, President and Executive Director of Sterling business school in Kyiv, spoke about Russian meddling, Ukraine’s prospects against the background of Russian aggression, and the destructive role of social media in foreign interference practices. These days, we’re seeing a lot of controversial information coming on what is happening in the USA. On the one hand, we’re seeing protest actions against President Trump, while on the other hand, we’re seeing official data showing economic growth and dropping unemployment rates. What is the actual situation? 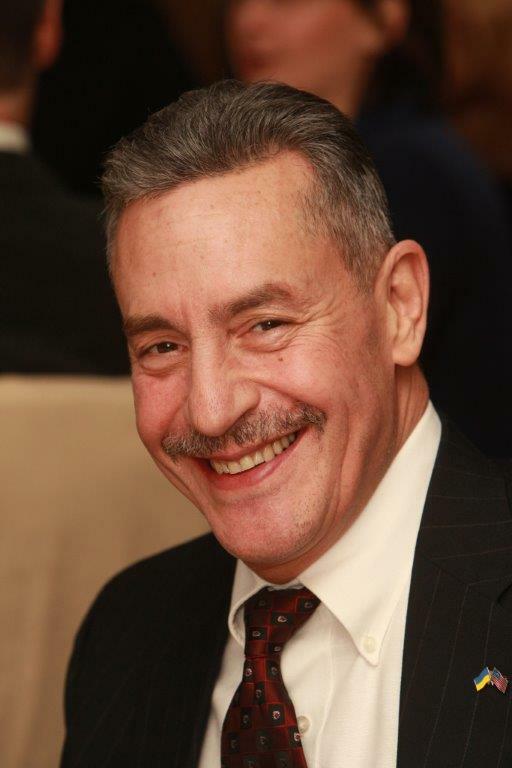 Founder, President, and CEO at Sterling Business School, Chairman of Democrats Abroad – Ukraine organization. It is true that the American economy is fully employed basically. By which we mean the unemployment rate at 3.75%. But that trend started in 2009. If you look at the graphs, the recovery from the recession of 2008 began in 2009. However, this recovery did not give people back the kind of jobs they had before. Let’s take the coal industry for example – states like Kentucky, West Virginia, parts of Ohio, parts of the Carolinas. Coal miner makes about $50 an hour. It is nasty work, as you know. It is not the same as in Ukraine, it is mostly strip mining, which is environmentally terrible, but now techniques are improved and it is not anymore as dangerous as it used to be. The technology has evolved, equipment now does the job of 9 miners per every ton of coal. So, now you really only need one fairly technical person who can operate heavy machinery to do the work that 10 guys use to do. The second thing is that the USA now has a surplus of natural gas, and we also have a surplus of oil. Natural gas is much cleaner, it’s cheaper, cheaper to produce and to sell. So, basically, the US coal industry is dead or dying. And this guy, who probably has only high school education, he was a hero – he was a hero in a town, he was a hero to his family. He got up in the morning and he went off to the coal mine, making $500 a day, his family was living good, nice house, nice cars, vacations and so on. When he came home at night he looked like he’d been in a war, everybody worshiped him. Now his new job is working in a convenience store, wearing some stupid jacket with some candy stripes on it. He lost all his self-respect, he’s no longer a hero, he’s making only $10-12 an hour, so the standard of living dropped, he doesn’t have good health care as it was while working in the coal mine. So, on top of his low salary and his destroyed ego, he now has to pay $6000-7000 a year for health insurance for his family if he can get it for that price. So, that’s the resentment that people had, and the guy like Trump comes along and says, “I understand all this, I can fix it, we are going to make coal number one again, and we will take care of you, we will put you back to work”. On top of all this, they see the society changing; America is very shortly going to be a majority-minority country, and that is another thing that bothers this person. It shouldn’t bother them, but it does bother. These are the people who voted for D. Trump. The same situation is in Europe. Also, I have to mention that it was extremely affected by Russian information war and it still is happening. If you look from a historical point of view, the Soviet Union has tried to destabilize the USA internally for over fifty years. But they weren’t able to do it. But now, because of social media, they have succeeded. 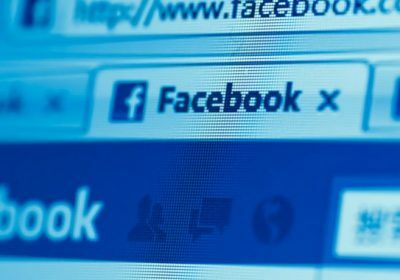 I think Russians have spent about $2 million on the Facebook adds and completely disrupted entire American society, that’s was pretty effective. They are good at it, [American] people do not understand how good they are at it. And what is America going to do about it? 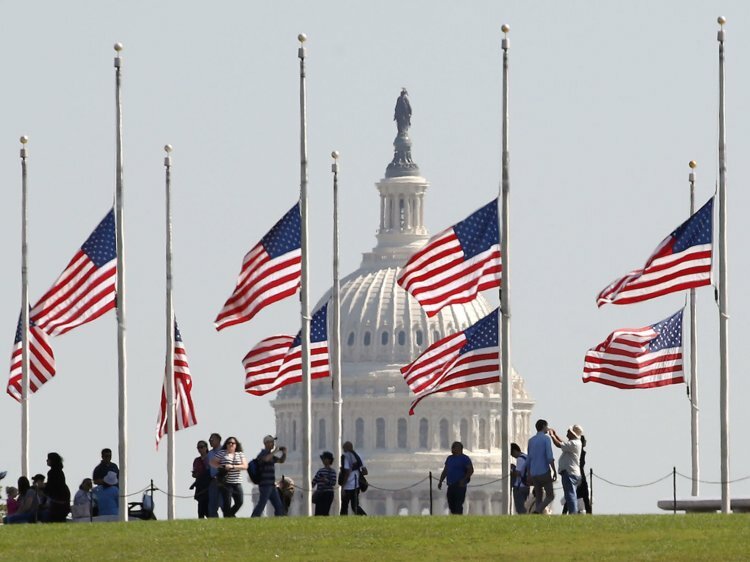 America is in a political crisis. In November, Democrats won control in the House of Representatives because people were basically like “wait a minute, somebody should do something”. I think we are going to see a lot of investigations of the Administration starting. I don’t even sure about the problem with corruption in this Administration as much as their level of competence. People are coming and going, the Administration is not stable if you work for them and then leave they call you names, it is like children’s garden. Rex Tillerson CEO of Exxon Mobile one of the greatest and biggest corporations in the world, he leaves the State Department and the President says he was dumb and lazy. Now his reputation is ruined, even considering the source of this information, who wants to work with somebody like that? I don’t. So what will be the objectives of the new Democratic team? Will they concentrate their efforts only inside the country or there will be some work in the international direction? I am hoping that they will not be seduced by the desire to just investigate. I don’t want Trump impeached, I think that it will short-circuit the restoration of American values. I think if American values are going to overcome this political crisis, it should be in an election, we should win, beat them and reject this idea of nationalism and populism, class warfare and anti-immigrant agenda. What is the place of Ukraine in the agenda of Democrats? It is an interesting question because I honestly think that the President himself, in some regard, is compromised by Russia, but I’m not sure where – either physiologically or materially. He seems to have a soft spot in his heart for V. Putin and other autocratic types of leaders of the world, he seems to like them. He doesn’t seem to like democratically elected leaders like Angela Merkel, Theresa May or Emmanuel Macron. 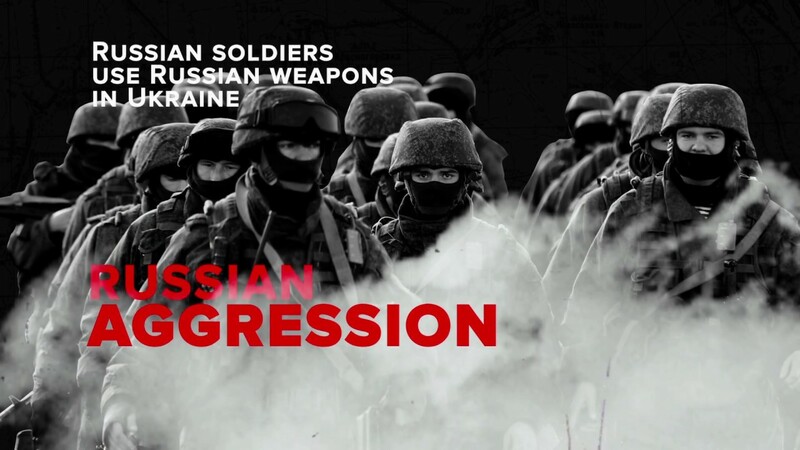 But our State Department officials and military side have been very good about Ukraine from a standpoint of the public. There is a lot of direct and indirect military assistance, there’s been obviously financial assistance, which I am not sure is the best thing to do. My friend says that if Ukraine does not get these borrowings, it will be bankrupt. But I think Ukraine has to figure out how to manage without it. I think, we can manage without transfers but we will not be able to show growth, and people need some positive tendencies. Eventually, you have to pay them back. That can be a negotiable question. For example, in the future, we can say that we will “defrost” the land market but you might forget all the money you gave to us? I think the land market is a very serious question for Ukraine. 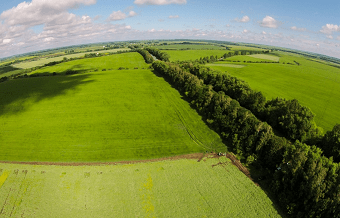 I think the land, the agricultural resources of Ukraine are its greatest assets. If you’re not careful and you lose to the foreign owner all these assets, the question “what is Ukraine?” will be the hardest one to answer. I think the land market works well right now, the system that keeps the land in hands of small and medium owners and they lease it. You should be very careful about selling it to foreigners. There will be a huge speculative market, there will be some cash, just like during privatization in the 1990s, everybody got a little bit of cash in their pockets, six months later it was gone. So, the end result was that in the end they had no shares and they had no money, the same thing can happen here. The difference between a catastrophic social situation in Ukraine and bad situation in Ukraine is the fact that people have flats and they have property. So, if we put away agriculture, what are the most interesting sectors of Ukraine economy for the potential US investors? I can give you an example. I was working on a project before the Revolution [of Dignity], and I had interested investors from the United States to come and develop food business in Ukraine, they were very interested. Then Revolution came, pictures on TV of burning center [of Kyiv], Russian invasion – the end of the investors. Today is very difficult to talk to Americans about investing here just as an investment unless they have a reason to be here, they have been here – it is not going to happen. Incidents like one that took place in the Azov Sea and responding the way we did also doesn’t help. Maybe it was a correct move from a military standpoint, but in terms of the investors’ confidence – zero. So, right now the only people interested are people like me, who have been here for a long time and can differentiate what is a real threat and what is not a real threat. It is very difficult right now to bring any outside investors in here. If Ukraine, for example, intensifies its information policy and starts to explain the situation to foreign investors, can it help to bring business people in here? Recently at the Horassis Conference, there were over 250 Chinese investors, big number, and I don’t think they did anything. They came, they visited, but when we ask them specifically, they say “Ukraine is good, good people, we support you, but you have to understand, we have a big neighbor. Now we have a trade war with the USA, we need powerful partners…” So, your information campaign can help, but if you are an outside investor and looking for investment opportunities unless you’re one of those risk takers, Ukraine if off the radar. Which, again, plays right into the Russian playbook. What is the point of the occupation of the East? To destabilize situation is just enough. Moldova is in the same boat, Georgia is in the same boat. Georgia though deals with it better. Still, we are under strong pressure from Russia, probably it is much harder than on other neighboring countries altogether. Russians are very good at what they do, that’s what people don’t appreciate, America hasn’t appreciated. They don’t appreciate how good they [Russians] are at finding your soft spots and slowly cracking them. It is ironic that they are using American inventions like social media in a much more effective way than us. Russians have tried to use the same techniques in the Cold War, but for these purposes, they have to publish a separate magazine like “Russian Life” and nobody was going to read it. It was read by, maybe, 200 000 people maximum. But if I put on a Facebook a post that says “Your job is being taken by Mexican immigrant” – every angry white guy reposts it all over the place and will do the job for you. If you want to open the borders – “Migrants are coming for your daughter”. Immigration is a big issue. What made them step so strong into Syria? They had a military base there, but they really went in with both feet, put a lot of resources in, it is a good chance to practice their military because they haven’t done that for a long time. But it also triggered over 2 million people marching north into Europe and has completely destabilized the European Union. Do you think this effect was reached deliberately or it was a “useful side effect”? I think they understood it completely. They saw the situation, they saw that refugees are piling up, the war was getting worse. All you have to do is make war massive and continuous. This plan is well understood by everybody, I think. It does endanger the position that Ukraine has as the pipeline guardian of energy resources from Russia to Europe. It definitely was developed as an alternative to the Ukrainian pipeline system and, to me, it looks like it’s going to happen. I don’t think anything is going to stop it. Even American pressure on Germany? Again, I think the relations between the Americans and the Europeans have deteriorated. I am not sure we are coordinating our message in such a way as they are listening. Maybe five years ago, it might have made a difference but today, no. The actions of this administration have made our natural allies in Europe uneasy. Let’s take for example NATO. 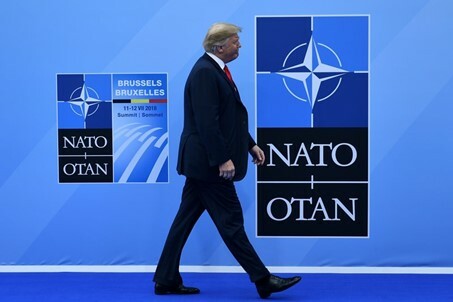 Who was the moving force behind NATO? We were the moving force, we wanted NATO more than any European country wanted NATO. It was very quickly understood by the American governments of the 1940s and 1950s. It was really urgent to build a military alliance between our Western European allies and ourselves to guarantee Euro-Atlantic integration. Otherwise, it is really easy to cut Europe off from America in some regard. We are far away, Russia’s much closer actually. So, when we started telling people that you’re not paying your share, you’re not a good member of this organization, we made all those people think in a more individual way. That’s why Ukraine is trying to get some front of allies, joint support. Again, Russian has the GDP the size of Italy. So, they are a huge country, but they are Italy. Yet, they have managed to get Britain to leave the European Union, they got an insane government in Poland, got the Italians acting like Mussolini, Germany is seeing serious problems because of the immigrants, French are in the streets – they’ve done quite well. And they got the Americans destroying their own structures. I am optimistic because I think we [Democrats] are going to stop it. Damage has been done, and now we have a chance to stop the damage and prevent further. But we have to win the next elections or there will be four more years of this. We do not control, but we can prevent, we can block now. How do you see Ukrainian officials, how good or bad are they in doing their jobs? First of all, I think the new team is way better than the people before. When I said better I meant different, they are Western-oriented, they are way more up to date, many of them speak English, they have some western exposure. At least they understand that change has to happen – this is a big difference. It is hard to say that all things I would do the same way, but again, who am I to judge? 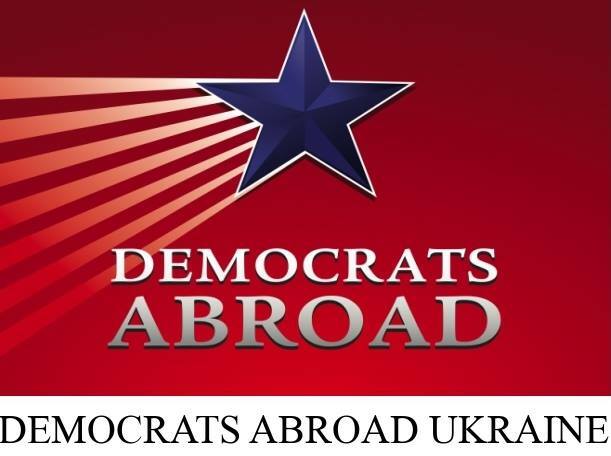 Finally, I would like to ask you about Democrats Abroad activity in Ukraine. We act here more like a social club rather than a legal entity, we don’t have registration or bank account. One of our main our purposes is basically to make sure Americans here know about the elections and vote. For me, it is not that complicated, because there’s not so many and we have some good outlets like KyivPost, we also do a lot of advertising on Facebook during election time, our page actually is quite popular. In Ukraine, I am second Chairman, and this March, there will be an election and I have to make up my mind what to do. Who are your members here in Ukraine? Mostly business people. One of the problems that we have here is that a lot of our members travel a lot, some of them are Peace Corp people, or Fullbrighters – they start to work with us and then six months later they are gone. Other members here have some roots in Ukraine or are doing business like me, and generally, it is just fun – to get people together, go for a picnic, celebrate the 4th of July. On paper, we have 217 members, but active – less than a hundred, and it is not bad. I do think our influence is greater during the election time because, in this period, I do a lot of writing and publishing, this information is broadcasting quite wide, so we have more influence that way than we do gathering hundred and some votes out of Ukraine. ← Previous Previous post: Слава Україні! Героям Слава!